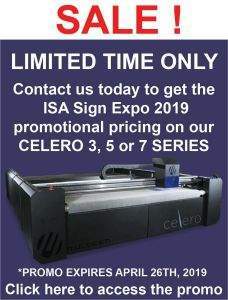 With an impressive list of standard features like the Universal and Oscillating Knife as well as a 3 HP Router Spindle, the Celero 3 Series is suited to provide versatility as it can cut a multitude of materials with a high-degree of precision. The Celero 3 Series Cutter is built with a durable, all-steel tube frame which significantly reduces vibration and gives the operator tight control for precise cutting and routing. Equipped with a high-frequency spindle, the Celero 3 Series is designed to produce an accurate and smooth motion when cutting either thin or dense substrates. 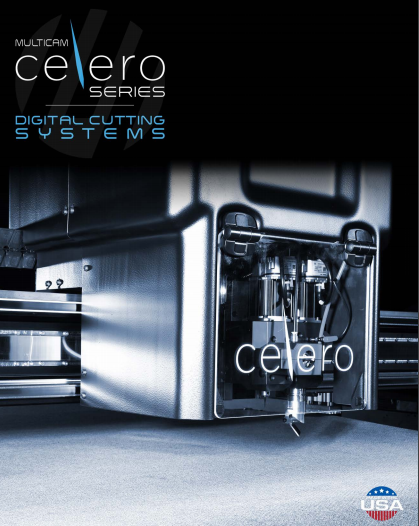 Along with a robust Servo Drive Motor system, the Celero offers maximum flexibility for multiple cutting application as it comes standard with a routing spindle, universal knife, and oscillating knife. The MultiVision systems provides end-users additional flexibility as the camera system is able to visually recognize media registration marks and automatically compensate for skew and/or image drift. 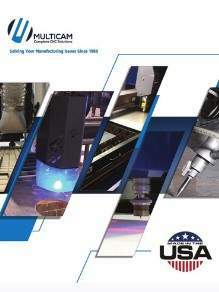 This system is also equipped with edge detection which aids in getting the most out of the material to be cut. Our Coreo software has been converted to operate on our robust Touchscreen interface. Celero’s Touchscreen is a powerful tool with an operating system that creates an enhanced operator experience. The Celero 3 Series features a 3 HP/24,000 RPM spindle which allows for a wide range of routing application. Whether your needs are to route acrylic, dibond, or many other dense substrates, you can do so at a repeatability of .001”.